Sonakshi Sinha’s urban Noor had a poor first week at box office. 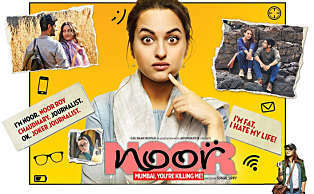 Noor is a typical urban slice of life movie which really needs a top star to do justice to the subject. Noor Needs to cross 30 Crores to be called a hit. Noor is releasing in around 1450 screens pan India.